Look at those guns - it's overcompensating for something. If you're a family man like me (or a family woman, like me on special weekends), once a week you probably have to endure what I call "the big shop." You know, where you head to the nearest large supermarket, and spend an interminably long period of time looking for the cheapest yoghurts that won't make you spew, and the last bread roll that doesn't have a thumb print in it. I hate "the big shop." It is one of the worst things I have to do on a regular basis, and I even felt that way when I used to have to change my daughter's nappy multiple times a day. Even after that one time I got poo in my hair. However, recently the supermarket where we do "the big shop" was running a special promotion. If you spent £40 in one transaction, you got a free card game. Now, that's the kind of promotion I like. Sure, it was done to encourage you to shop in store, and to spend more than you might want to; but as a by-product of that aim, the store was offering a way for families to do something together. Anything that promotes playing games gets two thumbs up from me. To be honest, we did quite well out of the campaign. Over a month, we acquired Frozen and Mickey Mouse Happy Families games, and a set of Doc McStuffin Dominoes cards, all of which my daughter has really enjoyed. 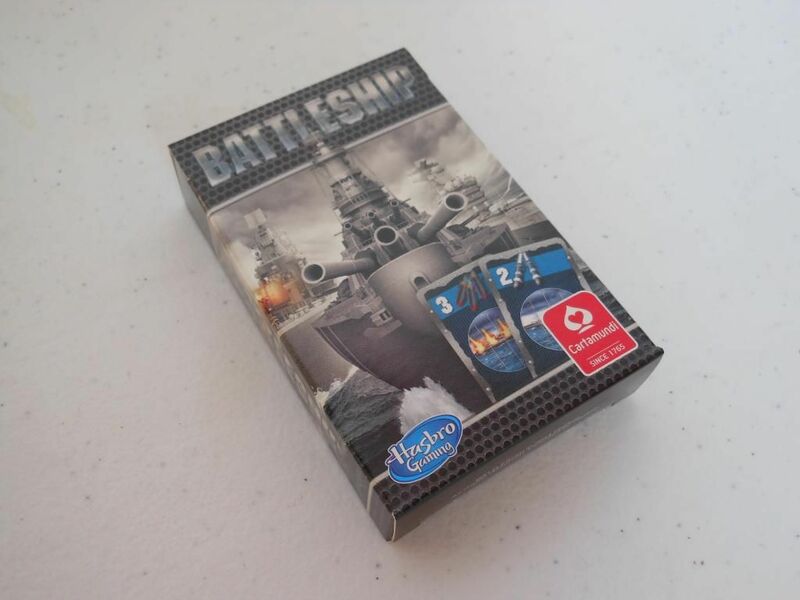 This is actually a streamlined version of the card game Battleship: Hidden Threat, which is, of course, a simplified card-based version of Battleship. And if the thought of simplified Battleship makes you feel a bit sea sick, you probably don't need to read any more of this review. You already know this is a game that is going to sink without trace. Each player has a set of coordinate cards laid out in a grid. 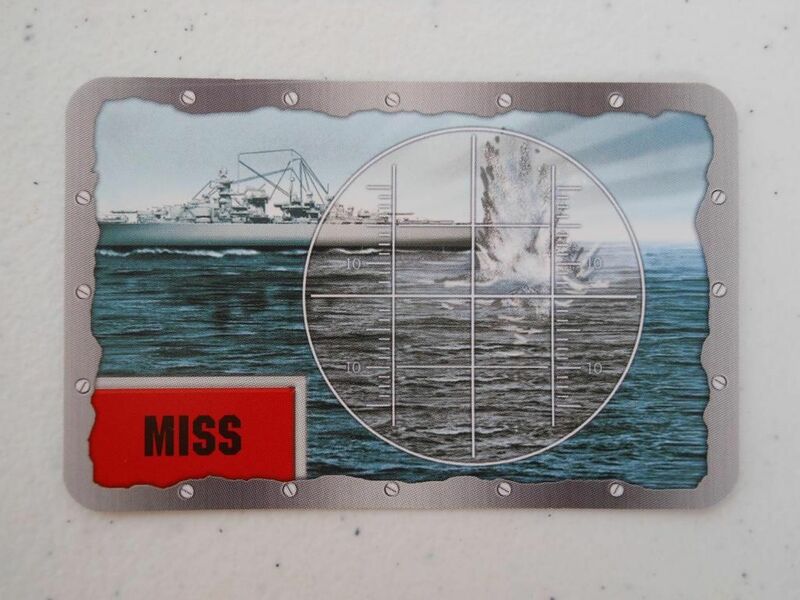 Some of these cards depict ships, others say "miss" on them. Players also have a deck of destruction cards, comprising white pegs and red pegs of different strength values. On a turn, a player uses a white peg card to reveal one of his or her opponent's coordinate cards. 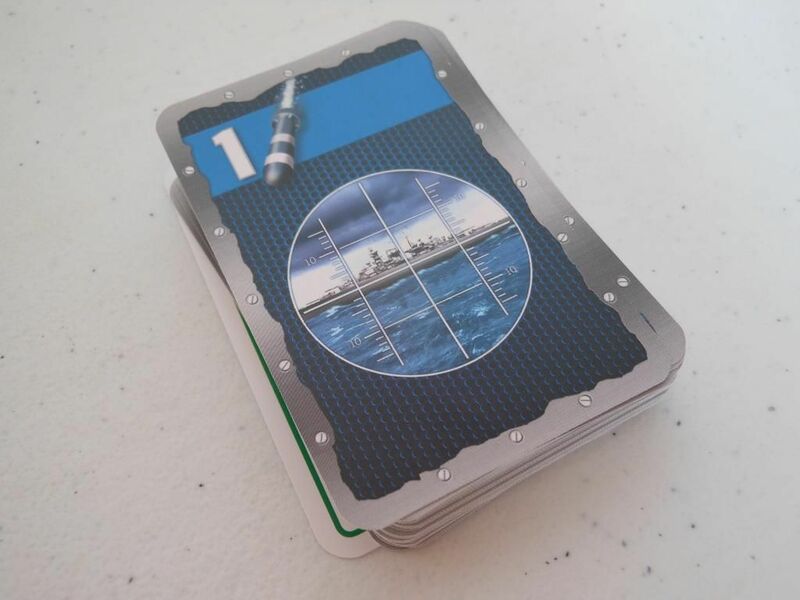 If the card is a ship, on subsequent turns, the player can target that ship with red peg cards. When the strength of red pegs matches the defence value of the ship, the ship is sunk. Play continues until one player has no ships left. And yes, that is as random as it sounds. There is absolutely no skill involved. You randomly reveal a coordinate card, and then hope you get red peg cards that are strong enough to sink the ship. 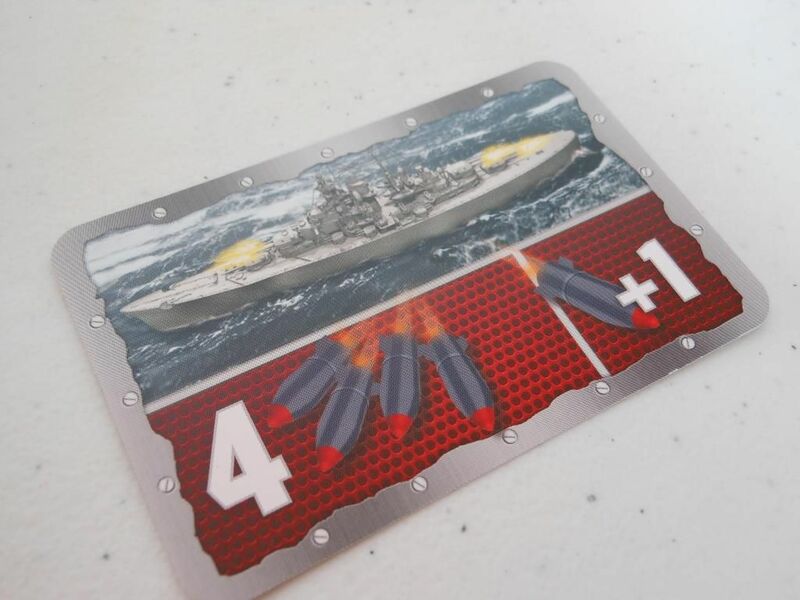 There is no way to work out which card you should target based on previous "hits", so you literally get Battleship without any of the deduction element. Yes, this describes the game perfectly. What you are left with is a bland, random game. Okay, each ship has a special power that becomes active as soon as a ship is revealed, but these powers don't change the nature of the game, or offer any kind of strategy. If anything, they just increase the randomness even further. To be fair, this is supposed to be a light filler game for young children. But here's the thing... young children are not stupid. You can't underestimate them. 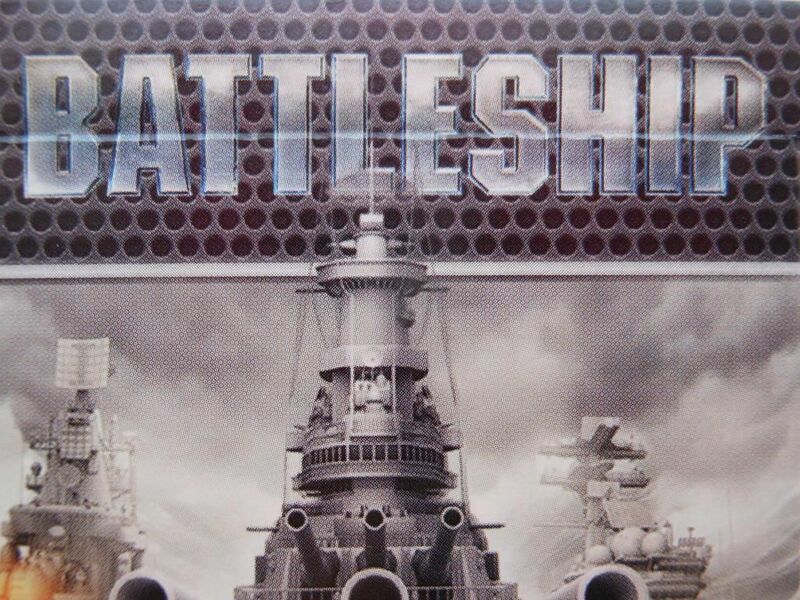 Any games designer that does is sunk. Artwork is nice, though. I guess.